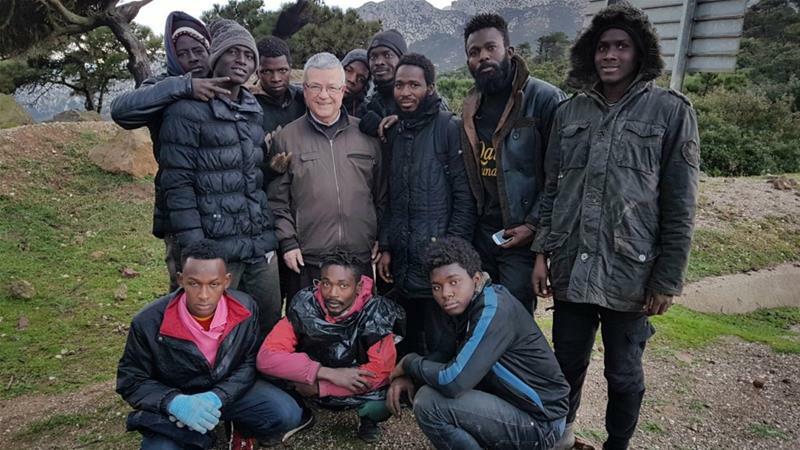 Why are Africans in Morocco Praying to Reach Europe? The popular Morocco-Spain route comes with danger, as authorities carry out raids and the navy fires on migrant boats. Tangier, Morocco – Nestled in Tangier’s backstreets, Our Lady of the Assumption Cathedral rises above the fracas of heated market trading as Archbishop Santiago Agrelo Martinez leads an impassioned service. Most of his congregation are sub-Saharan Africans planning to reach Europe. As the service ends, Martinez is surrounded by worshippers pleading for assistance with medical bills or employment. Others simply ask for a prayer for friends who recently attempted the crossing to Spain but have since disappeared. “Our desire is that emigrants have a family unit through the church to which they can always go, as if it was their own home,” Martinez tells Al Jazeera. “The most difficult thing is to see them humiliated every day, begging in the street, suffering in fear and not knowing when that hell will end,” he says. “I cannot help feeling their situation as mine. According to some reports, Moroccan authorities believe 50,000 migrants are currently based in Tangier and its surrounding area. The Morocco route is not without its own specific danger. Earlier this month, Amnesty International blasted Moroccan authorities for a “shocking” crackdown on sub-Saharans. 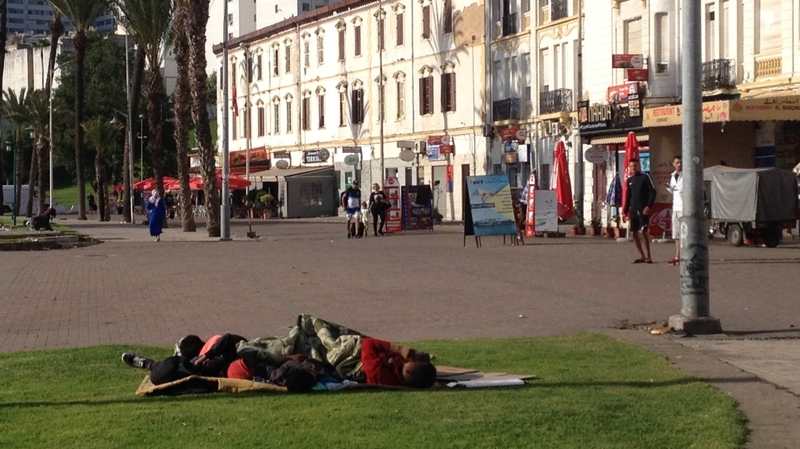 Since the end of July, the Moroccan police together with the Royal Gendarmerie and the Auxiliary Forces carried out major raids on the neighbourhoods where refugees and migrants live in several cities, with particular intensity in the northern provinces of Tangier, Nador and Tetuan, which neighbour the Spanish borders, said the rights group. “This shocking crackdown on migrants and refugees in Morocco is both cruel and unlawful. It represents a worrying backslide for a government that in 2013 introduced new asylum and migration policy commitments to bring Morocco into compliance with international standards,” said Heba Morayef, Amnesty International’s Middle East and North Africa Director. An estimated 5,000 people were swept up in the raids since July, piled on to buses and abandoned in remote areas close to the Algerian border or in the south of the country, according to the Moroccan Association for Human Rights (AMDH). The group monitored the number of buses that left from Tangier, Tetuan and Nador and calculated an estimate for the number of people seized. And those who end up attempting the journey to Spain are also put at risk at sea. On Tuesday, a Moroccan woman was killed and three other people were left wounded – one critically – after the country’s navy opened fire at a speedboat carrying migrants. The Moroccan interior ministry said in a statement that a naval unit operating in the Mediterranean was “forced” to fire on the boat because its Spanish driver “refused to obey” orders. On Wednesday, Alarmphone, a network of activist and migrant groups providing a 24-hour hotline for refugees in distress at sea, said it had assisted eight boats in distress coming from Morocco, one of which was returned to the north African country. The majority of Martinez’s congregation live in the adjacent kasbah area of the city. Alhassane Keita, 42, has called it home since he fled Mali in early 2013 when fighters advanced to within 20km of his city Mopti. “If I stay in Mali there is no work, no future and no security,” Keita tells Al Jazeera. 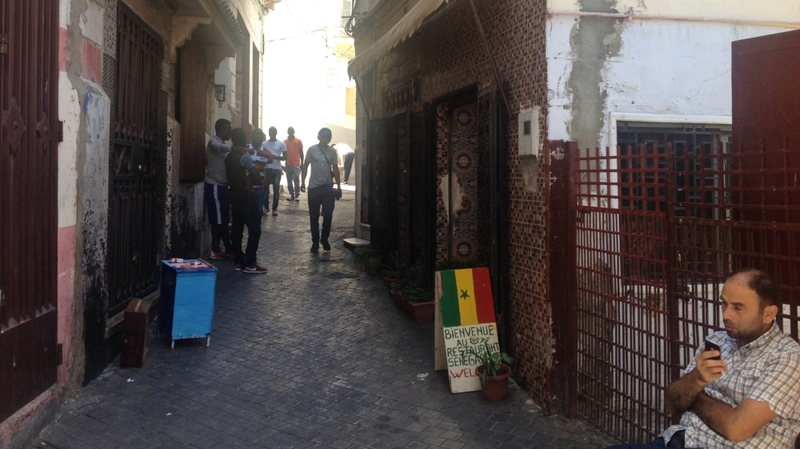 Asylum seekers take advantage of lax housing regulations in the kasbah, living cheaply, crammed into decrepit homes. There are so many sub-Saharan refugees and migrants in the area that Moroccans have begun referring to it as “Petit Dakar”. 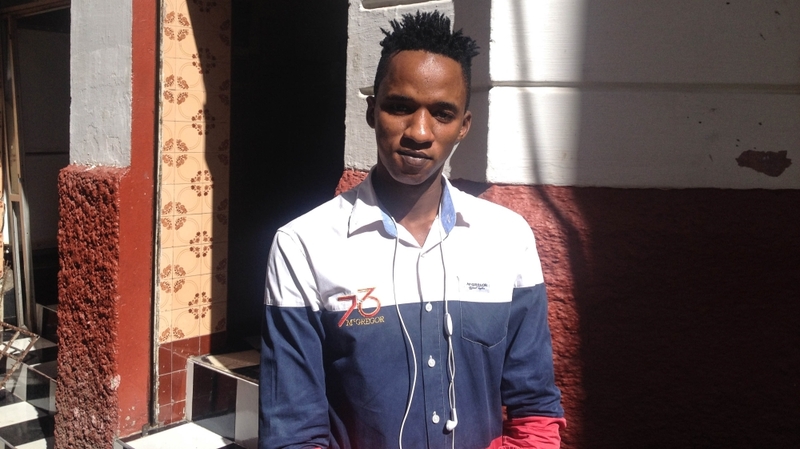 Another kasbah resident, 16-year-old Mohammed Jallo, fled Sierra Leone when he was just 13. His parents were murdered in a revenge killing linked to the country’s bloody civil war. He had worked for three years on a Chinese-run construction site in rural Algeria before coming to Tangier. “I came through the desert to get to Algeria,” he recalled. “The journey is not easy and many people die – I saw people die with my own eyes. “Sometimes we walked for 90 or 100 hours at a time with only a couple of hours break each night. “The traffickers will just leave you in the desert if you cannot keep walking, with no food and water. An Al Jazeera report in January 2018 documented that migrants and refugees were still being sold as slaves in open markets in Libya, despite international condemnation. Others continued to be held against their will by armed groups until their families paid ransom money. Further migrants had avoided entering Libya after hearing news reports that NGOs were stopping rescue operations off its coast due to security fears, and as the Libyan coastguard was allegedly leaving asylum seekers to die at sea. Italy’s recent decision to refuse entry for both rescue boats and merchant ships carrying refugees and migrants leaving Libya also had an effect. 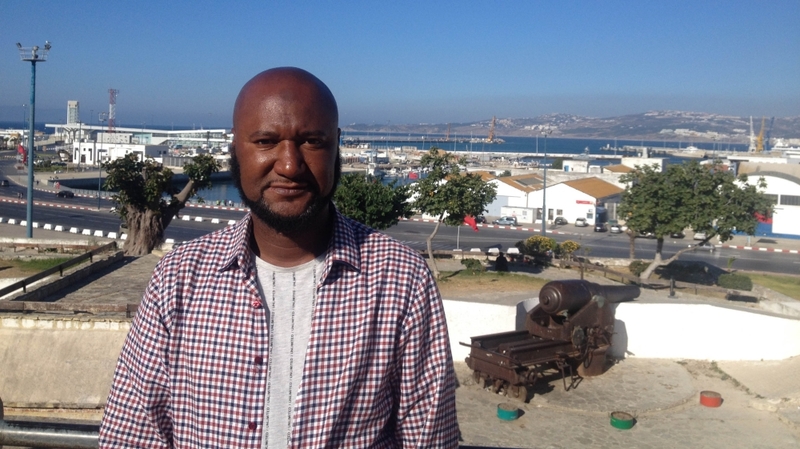 Ahmed, not his real name, is a Tangier local and smuggler and agreed to speak to Al Jazeera on condition of anonymity. He said that he sends over two small boats a week each carrying 62 people and charges between $900 and $1,150 per person meaning that he can earn up to $500,000 a month. Using sub-Saharan middlemen, he seeks out refugees and migrants who meet in the recently established Senegalese or Eritrean community cafes. Once a fee is agreed, the asylum seekers are transported to forests near remote beaches from where they set sail in the middle of the night. When asked whether he is concerned about the Moroccan police, he laughed and explained that he pays off certain officers to ensure safe passage for his boats. In 2015, Morocco introduced year-long renewable residency permits, allowing migrants to move to Morocco and work legally while saving up to travel to Europe. In addition, after the 33 years of exclusion from the African Union ended, Morocco’s King Mohammed VI introduced 90-day visa-free travel on arrival to many sub-Saharan nationals. For Malick Diallo, 20, these policies enabled him to fly directly to the country from Senegal and save up the money needed to attempt several crossings by working as a labourer in Tangier. Back at Our Lady Cathedral, as news filters through that 400 asylum seekers, attempting to reach Spain from Morocco, have had to be rescued in just one weekend, a young Liberian man, Daniel, implores Santiago Agrelo Martinez to pray with him. “The Almighty has told me it is time to make the journey to Europe,” he says. 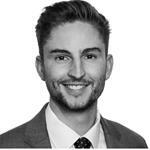 Joe Wallen is a London-based freelance journalist, focusing on human rights in Europe and North Africa. This entry was posted in Economic Crises, homeless, Immigration, INTERNATIONAL and tagged Amnesty International, Human rights, Refugees, Tangiers Morocco. Bookmark the permalink.